A whole world of train adventures starts here! 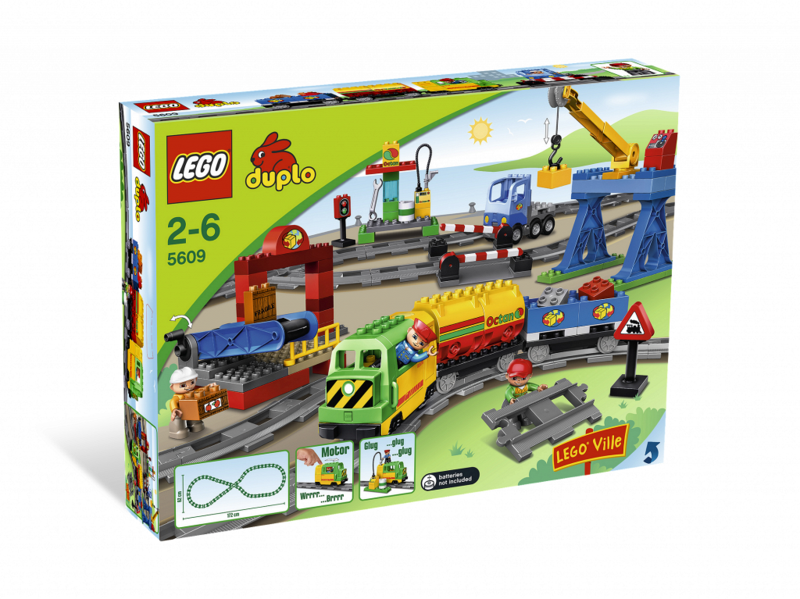 This deluxe cargo train set has it all! 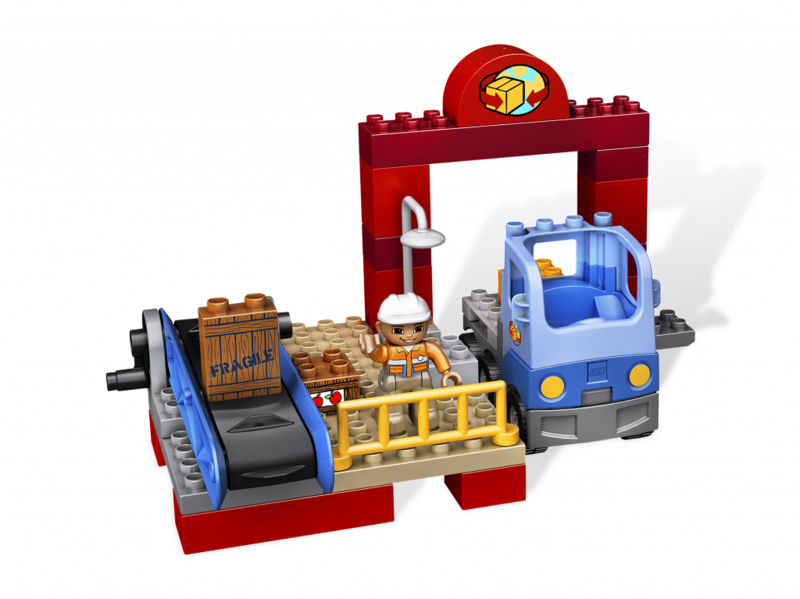 Load and unload the train's cargo wagons at the warehouse with the big loading crane and fun conveyor belt. 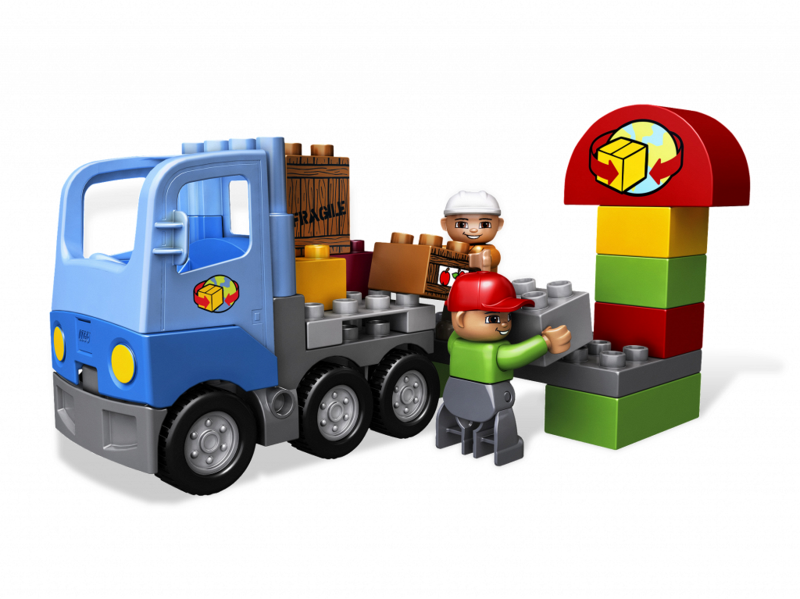 DUPLO bricks are sturdy, colorful, and safe for a toddler's hands. 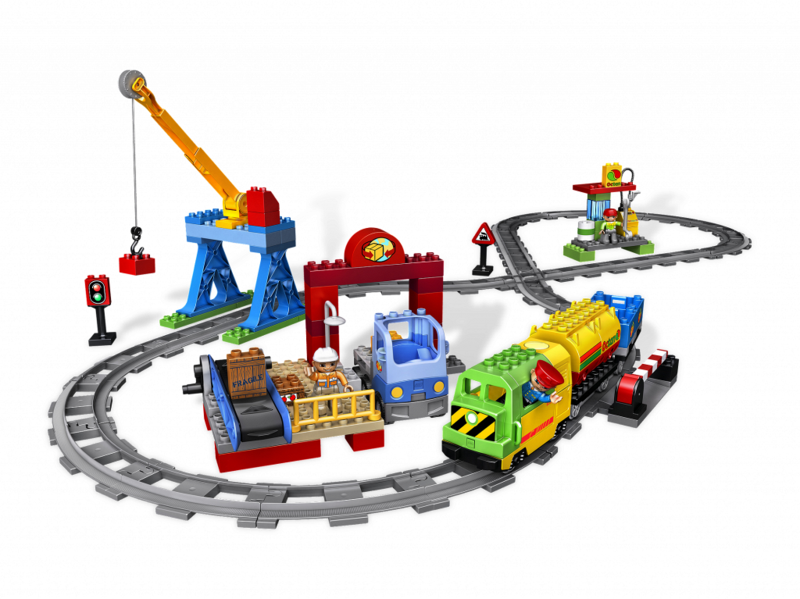 Includes tracks, trains, vehicles, workers, and much more! Really makes sounds when you fill up at the station! Raise and lower the hook on the crane! 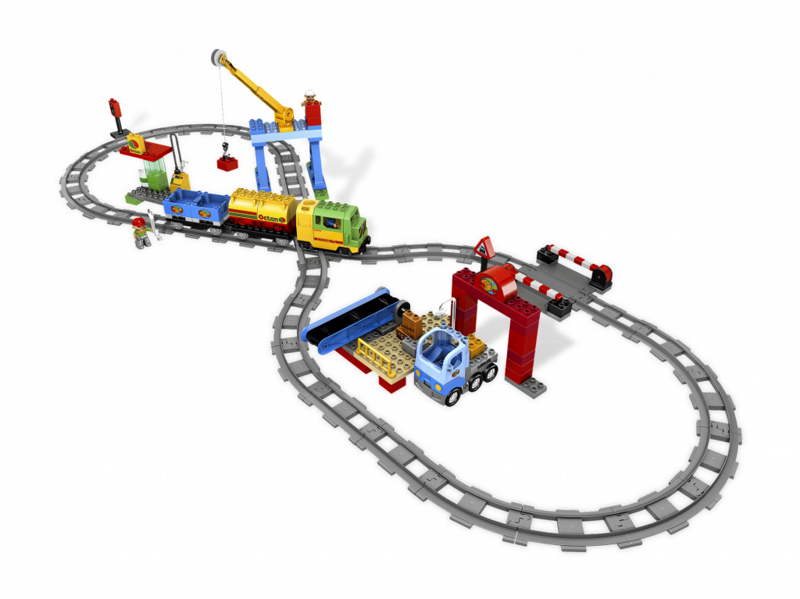 Use the working conveyor belt to load and unload the train! Fill up at the gas station!